Pte George Albert Hynard joined the Bedfordshire Regiment at the age of 18 in 1904. By 1914, George was with the 1st Battalion the Bedfords who as part of the BEF were the first British troops to set foot in France. He saw action in the opening battles of the war and quickly established a reputation for feats of daring. In January 1918 he was awarded a Military Medal for ‘gallantry in the field’ and it is believed that this award relates to his actions on the 9 October 1917. At that time, the Bedfordshire Regiment was engaged in the Third Battle of Ypres (Passchendaele) and on 9 Oct were involved in heavy fighting at Poelcapelle. George was one of the ‘Old Contemptibles’, a nickname that the old BEF veterans proudly adopted for themselves. The term was supposedly first coined by the Kaiser who was furious at the relatively small but determined force that stood in his way; calling them "that contemptible little Army”. George was one of the first to fight and it is believed that he fought throughout the entire war. 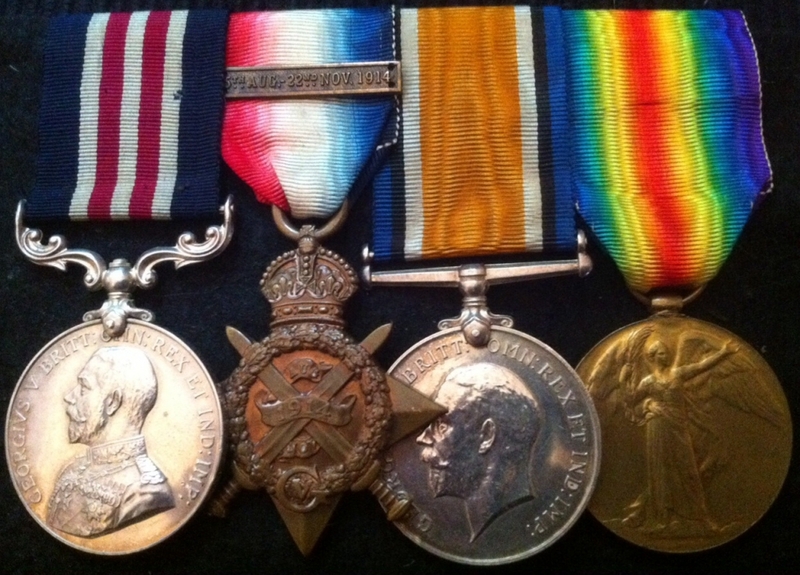 He was awarded the 1914 Star, the British War Medal, the Victory Medal and of course the Military Medal. After the war he returned to Hadleigh to rebuild his life. George died in 1957.